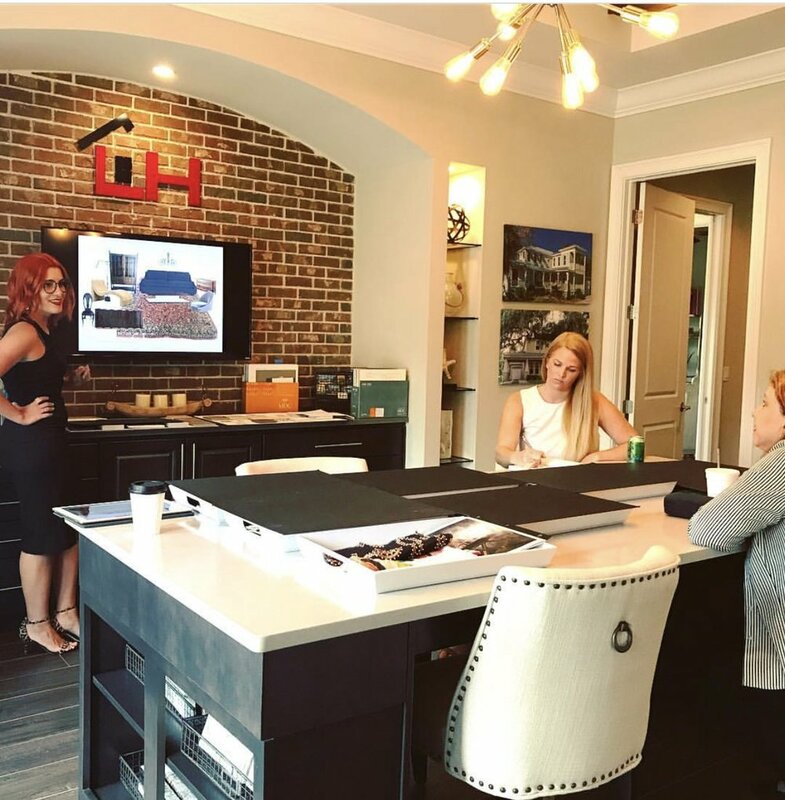 DESIGN CHAT:: WHEN IS A GOOD TIME TO HIRE AN INTERIOR DESIGNER? WHAT PHASE IN YOUR PROJECT DOES IT MAKE SENSE TO HIRE A PROFESSIONAL? It's happening. You are finally doing it. Building the home of your dreams, remodeling to make it finally your dream place or building out your place of work. Pretty exciting, right? I bet that to do list just got a little large - and it's possible your Pinterest boards may be starting to overwhelm you. So now the big question. "Do I get an interior designer involved in my project? And if I do, when? And what all do they exactly do?" Well, my friend, I am here to help you with that question. While I wish that the answer was an easy cut and dry answer, unfortunately it is not. However, with some of these tips, it might help you decide when it is good for you to think of a professional. In this industry, every project is truly different. Every. Single. Project. Which in my opinion, is SO great! Why have your project be like anyone else? After all, it is your space so let's make sure it's created with you in mind. Building a new property from the ground up. Do you want a designer to just consult on finishes and no floor plan adjustments or furnishings? The honest answer is, the sooner you can get a designer in on the project, the likelihood of saving money and any mistakes is pretty high. We really act as your advocate on the project and often think of things that may have not crossed your mind, yet! Finish selections only, ideal for your project? So let's say, you feel you fit in category #2 - your working on a property and you want a designer to select all the finishes of the space, really make the bones of it shine. It's really a good idea to get the designer involved once the architectural plans have been finalized. Finalized, being the key word. You want your designer to spend time picking finishes on a space that is ready to go, not still in the idea phase. However, it's very important to call your designer in right at this sweet spot. Don't wait until the project has broke ground or demo day has started - you will find everyone frantically running in circles trying to find things in stock and ready to go. So ideally, prior to permits being pulled, that way they have time to source the best selections and lead time will not be as much of a concern. Another thing to remember is to try to pick all of your finishes and selections as efficiently and quickly as possible. It's best for the designer to be able to hand off a complete specification book to your building team, so they can hit the ground running. THE WHOLE SHEBANG MORE YOUR SPEEED? If you decide that you want a professional with you every step of the way, then certainly getting involved with a designer early on is best for everyone involved. Your interior designer can help consult on the actual layout and design of your home before drawings are approved for permit. Initial design: layout, flow, voice of the home. If you break your project into these phases, it will be much easier to take on, prioritize and organize with your design team. In the beginning really focus on the style of the home and finishes, once those are selected jump into furnishings and all the extra beautiful things that make your personality pop! JUST GIVE ME ALL THE PRETTY FINISHING TOUCHES! If you feel like you've got all the finish selections under control, but really need help pulling together the end result and really making your personality shine - then soft furnishings help, is the service you need! A lot of people, unfortunately, make the mistake of waiting on this phase too long. They get wrapped up in the details of building / remodeling, then before you know it, the property is slated to be complete in three months and the light bulb goes off "Hey! I need furniture for this new space!" The sad truth is, that most furnishings take much longer than three months to get into your home. Not only is the average lead time on many product 6-10 weeks depending, but you want to give your designer time to actually design! So to be on the safe side, I would say about the eight months to completion date, is the ideal time to start working on furnishings with your designer, but really a year out is an even better sweet spot! At the end of the day, the message I'm trying to get across to you is, really think about the role you want your designer to have on your project, you really want to give your designer the proper amount of time to really get creative and come up with a fantastic design for you, not limit the resources due to time, and let your designer really flex their creative muscles! All great things take time - and design truly shouldn't be rushed, but well planned and in the end, genuinely loved and enjoyed!